Ken Druse guest blogs over at Garden Rant about what every gardener should know about peat moss -what it is, first of all, and that "it is environmentally bankrupt". King Corn screening and more! Now is your chance to see a tiny house, feel a tiny house, be IN a tiny house. Sadly, he's not coming to my city (Boston) - maybe next year. 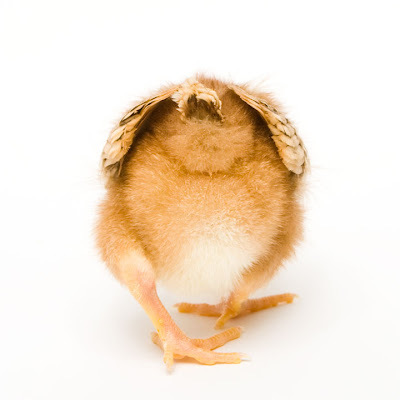 Three Chicks a Day - Blog of the day! "Photos taken daily as they become my egg makers. And sometimes there's poop." Ming Nagasawa, 2007 winner in the Urban Renewal category. Another Instructable - Cheap redneck ceramic smoker. Bring on the pulled pork! Evidently, from the comments over there, Alton Brown should be credited for inspiring this . The mother lode of Tiny house goodies. Free design plans! Tiny house blogroll! Tiny house kits! Book recommendations. Gah!! Heaven!! A good reminder for finding good clean buckets for growing - or a monster batch of Kombucha!